Anthroposophy: The Scientific Exploration of the True Nature of the Human Spirit. Anthroposophy, like Metaphysics, was originally approached as a purely philosophical study. Rudolf Steiner (1861-1925) is best known for his application of the scientific method to the subject of human spirituality. To read an excellent technical article on Anthroposophy and Rudolf Steiner I suggest visiting Wikipedia. 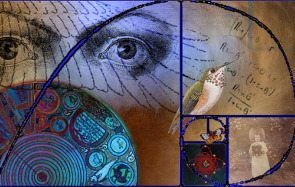 Many scientists believe that the scientific method of reproducing conditions and measuring results cannot be applied to the esoteric fields of metaphysics and human spirituality. However, as quantum physics has demonstrated, subjective human experience has a measurable impact upon results and therefore must be taken into account in science. Rudolf Steiner has written many books explaining methods and techniques for making a scientific exploration into the true nature of the human spirit or soul. The study of Kabbalah is also considered by millions of people to be a replicable and measurable scientific technique or system. 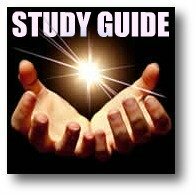 The system I "discovered" in 2002 (the Heartcompass LifeNavigation System) is also based upon scientific, psychological, tested and proven techniques that, when combined, provide a means for exploring one's true nature or "Soul". Steiner's scientific exploration into the spiritual nature of man has led to the development of many practical disciplines, including Waldorf Education, Biodynamic Agriculture, Bioarchitecture, Complimentary Medicine, Eurythmy (a form of therapeutic dance), and Socially Responsible Investing. To learn more about Anthroposophy and it's practical applications, please visit and explore the links below. OR: Go Back To: THE PHILOSOPHY OF METAPHYSICS to learn more about the science and philosophy of Spirit. The Anthroposophical Society was founded by Rudolf Steiner in Switzerland in 1923. It seeks to support individuals who are working on their own inner development and who wish to bring the fruit of that inner work to benefit the wider world. As a modern path of knowing, its doors are open to all who seek its approach and who wish to support its activities. Today, anthroposophical activity is alive in communities around the world. This site is different. It is a private site, intending to provide answers about Waldorf education, in depth, that parents and prospective parents may have, and to clear up some of the misconceptions that may exist about Waldorf education. Our intention is to provide a straightforward presentation of the facts about Waldorf education. News, essential information and in-depth articles on anthroposophy and the many social initiatives arising from it. An online self-study course for Steiner's Path of Freedom. Donations are accepted but not required. You will find videos, group and individual study opportunities, and a blog for sharing. Watch more videos about metaphysics and the true nature of the human spirit on A Mind With Heart Channel on Youtube. The official Youtube channel of Metaphysics for Life! OR, Go Back To: METAPHYSICS FOR LIFE: TAKE THE OFF RAMP to return to the "HOME" page and continue exploring this site.